A new public artwork is launched on Friday 27 October that instils a sense of wonder and surprise within the waterways of Chester. What: A whirlpool appears and disappears in the canal, rapidly turning to create an illusion of extreme depth and speed. • Hypercaust by Bedwyr Williams – shown in the foyer in Storyhouse. For more info https://www.storyhouse.com/event/bedwyr-williams-hypercaust. Meet the artists at Storyhouse between 5pm and 5.30pm, and then enjoy reception drinks from 5.30pm at Storyhouse’s bar (sponsored by Red Door Chester). Pupils at local schools have imagined their own myths and stories of how the whirlpools came into being in response to Maelstrom. A selection of artworks by year 6 pupils at Hoole C of E Primary School and Waverton Community Primary School will be on display at King Charles Tower. In addition local postgraduate artists Kate Gater and Estelle Woolley will be showing sound and sculptural pieces in King Charles’ Tower and Gardens. Artists David Cotterrell, Bedwyr Williams and Nayan Kulkarni have been offering their support and guidance to the ongoing development of Gater and Woolley’s individual practices as part of a mentoring programme. Gater is an artist working with sound and digital technologies, currently undergoing her PHD in Sound Art at the University of Chester. Her work involves researching rarely seen rural areas. Woolley is an interdisciplinary artist and MA Fine Art graduate from The University of Chester. Her practice is concerned with the way in which we ‘see’ sound physically. These works are a playful series of sound sculptures, taking the viewer on a multisensory discovery of the newly renovated King Charles’ Tower gardens. Cotterrell’s artwork acknowledges Chester’s relationship with water. This intriguing artwork encourages alternate viewpoints of the city that rewards curiosity. David Cotterrell has taken his inspiration from the maelstrom, whirlpools and eddies that feature in literature from The Odyssey to Jules Verne, Herman Melville and Edgar Allan Poe, His new work seeks to represent the magnificence of these awe-inspiring natural phenomena, recreating them on this gentle stretch of Chester’s waterways. How and why the whirlpool has appeared is intended to cause intrigue and provoke curiosity drawing attention to the waterway, its geography and environment. Working with David, pupils at local schools have imagined their own myths and stories of how the whirlpools came into being. Creating fantastical stories about a mysterious creature that ate a chunk of earth from the bottom of the ocean, disrupting the flow of the water, causing a massive whirlpool; or a Superhero who blasted a villain during combat; or a massive serpent living beneath the water wagging its tail, causing destruction. A selection of artworks by year 6 pupils at Hoole C of E Primary School and Waverton Community Primary School will be exhibited at King Charles Tower during the October half term. 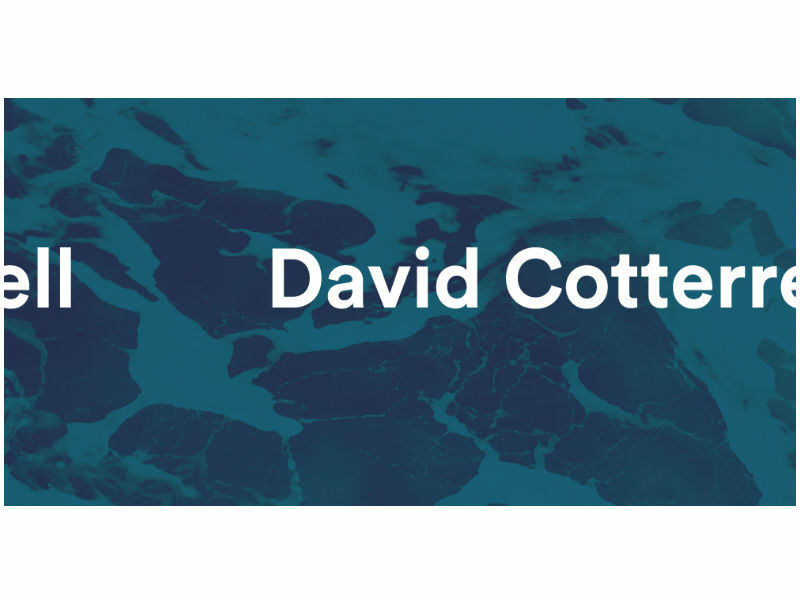 David Cotterrell is an installation artist, and digital media specialist working across varied media including video, audio interactive media, artificial intelligence, device control and hybrid technology. In consultation with theatre lighting engineers and audio visual professionals, David has devised a lighting projection system that will shift the understanding of the existing surface of the canal, through the illusion of shadows and movement. The projector will animate the water by overlaying the effect of light and shadow, giving the impression that a whirlpool appears and disappears. Chester is championing new technologies within artworks commissioned for the public realm, as can be seen with Maelstrom and Hypercaust by Bedwyr Williams at Storyhouse. Chester is a city rich in heritage and architectural interest and such artists’ interventions highlight its overlooked or hidden aspects.